Here you will find the general terms and conditions of Weber-Stephen Deutschland GmbH (hereinafter "Weber") and the terms and conditions of participation for the Weber® Grill Academy. The provisions of the two sections below apply independently of each other. These General Terms and Conditions (GTCs) apply to all deliveries of Weber-Stephen Deutschland GmbH via www.weber.com to consumers and to contractors (hereinafter also jointly referred to as "Customers"). No deviating terms and conditions of the Customer shall apply, unless Weber expressly consents to their validity in writing. (1) Consumer means any natural person who enters into a transaction for a purpose that is predominantly outside his trade, business or profession. (2) A trader, on the other hand, means a natural or legal person or a partnership with legal personality who or which, when entering into a contract, acts in exercise of his or its trade, business or profession. (3) Contracts of sale are concluded with: Weber-Stephen Deutschland GmbH, represented by its Managing Directors Michael Reuter, Frank Rommersbach and Hans-Jürgen Herr, Rheinstrasse 194, 55218 Ingelheim (am Rhein), Commercial Register: Mainz Local Court HRB 23407, Germany. For any questions or complaints, please contact our Customer Service, Monday to Friday from 9:00 to 17:00 on +44 203 630 1500 or by email to service-uk@weber.com. (1) Weber accepts orders via the Internet. (2) For details of the products offered by Weber, Customers are invited to look at the individual product illustrations. (3) None of the Weber product illustrations in the Weber online shop are legally binding offers; they are merely invitations to submit an order. Any liability for errors on our part is express excluded. (4) The prices specified on the product pages include the statutory VAT and other components plus, if applicable, a delivery charge. (6) A contract of sale for the goods ordered by you will be concluded only when we expressly accept the offer to conclude a contract of sale by email, or when we send you - in the event of an order as part of an electronic transaction (5) - the ordered goods without an express order confirmation within two days. (1) Delivery will be made only within the United Kingdom* by parcel delivery or by a freight carrier when the ordered item weighs over 31.5 kg. For delivery by a freight carrier, Weber will ask you to provide a telephone number on which the freight carrier engaged by Weber can contact you to arrange delivery. All Freight deliveries will be made curbside. Curbside delivery service provides delivery of your item(s) to the curb at the end of your driveway. This service does not include set up or assembly of items or removal of packaging materials. * Please note that we do not deliver in: British Overseas Territories, the Channel Islands, Gibraltar, and British Forces Post Offices. (2) In the event of prepayments, the delivery period will begin on the day after issuing the payment instruction to the transferring bank; for all other payment methods, the delivery period will begin on the day after the conclusion of the contract and shall be one to three days. If the last day of the delivery period is a Sunday or a public holiday at the place of delivery, the delivery period shall expire on the next business day. (3) For goods to be shipped by a freight carrier, the delivery period will begin - in the event of prepayment - on the day after issuing the payment instruction to the transferring bank; for all other payment methods, the delivery period will begin on the day after the conclusion of the contract and shall be two to four days. If the last day of the delivery period is a Sunday or a public holiday at the place of delivery, the delivery period shall expire on the next business day. (4) If you order multiple items with differing delivery periods as part of a single order, we will dispatch the goods in a single shipment unless otherwise agreed. In this case, the delivery period applicable to your order will be that of the item in your order with the longest delivery period. No additional shipping costs will be charged. (5) If not all the ordered goods are in stock, Weber shall be entitled to make partial deliveries at its own expense, provided that you are not unreasonably affected by the partial delivery. In doing so, the stipulated delivery periods shall apply. Paragraphs (2) and (3). (6) If the delivery of the goods fails through your fault following three unsuccessful attempts, we shall be entitled to withdraw from the contract. Any payments already made will be refunded by Weber without undue delay. (7) If the ordered product is not available, because Weber itself was not supplied through no fault of its own, then Weber may withdraw from the contract. In this case, Weber will inform you without undue delay and propose to you the delivery of a comparable product, if appropriate. If no similar product is available or if you do not desire delivery of a comparable product, Weber will refund you for any consideration already paid by you without undue delay. (1) We offer the following payment methods: credit card and PayPal. However, we reserve the right to withhold certain payment methods for each order and to include payment methods not listed above. For further information, please visit our website at weber.com under Payment methods. (2) If you are in payment arrears, the interest is due on the purchase price during the period of the payment arrears at the interest rate of 5% above the base interest rate. We reserve the right to prove and claim higher default damage. (3) Weber retains title to the delivered goods until full payment is made. (1) You can purchase vouchers in various amounts in euros from the Weber online shop. These vouchers can be redeemed only in the Great Britain Weber online shop at www.weber.com/GB/en/. After completion of the ordering process, the vouchers will be sent to the email address indicated in the order with a personal voucher code. (2) The vouchers can be used for the purchase of all Weber products, except for the purchase of vouchers. (3) The voucher shall be valid for a period of three years from the date of purchase, starting with the calendar year following the purchase. The credit amount will expire after the end of the term of validity and cannot be refunded in the form of a credit note. (4) If the credit value of the voucher exceeds the amount of the invoice, a residual credit will be recorded, effective until the end of the term of validity and which can be redeemed by the re-entering the voucher code on the occasion of another purchase. No cash refunds of the residual amount of the voucher will be given. The residual credit is not subject to interest. (5) If the value of the voucher is not sufficient to cover the amount of the order, the outstanding amount can be settled with any other payment method approved by Weber or by entering additional voucher codes during the same ordering process. (6) If the ordered goods are returned, the purchase price will be reimbursed in an amount equivalent to the redeemed credit amount of the voucher. Any additional payments submitted will be reimbursed by means of the payment method agreed. Please make sure that you keep your voucher from a purchase order, as you will need the voucher code to use the refund amount. (7) The voucher is transferable and can be used by any person in possession of the voucher. The voucher can be redeemed in the Weber online shop without a prior identification check. (8) Weber assumes no liability for loss, theft, abuse, or typographical errors in the specified email address. The voucher codes cannot be blocked. (9) Consumers have the right of revocation in relation to any vouchers as set out in clause 7. (1) The text of the contract will be saved by Weber. In their personal customer accounts, Customers who have registered for the Weber Online shop are able to retrieve their order details under "My order history". Customers can view the GTCs at any time on this page and save them on their computer. The order details and the GTCs will be sent to the Customer by email. The contract language is English. (2) Customers who are not registered with Weber will not be able to retrieve the saved contract text after conclusion of the contract. You have the right to revoke this contract within fourteen days without stating any reasons. The revocation period is fourteen days from the date on which you or any third party appointed by you, who is not the carrier, took possession of the goods, or in the case of partial deliveries, on the date the goods were last received. To exercise your right of revocation, you must inform us (Weber-Stephen Deutschland GmbH, c/o PVS DVG Vertriebsgesellschaft GmbH, Birkenmaarstrasse 8, 53340 Meckenheim, Germany; telephone: +44 2036301500; email: service-uk@weber.com) by means of an unequivocal statement (e.g. a letter transmitted by post, telefax or email) of your intention to revoke this contract. You may use the notice of revocation form attached hereto, but this is not mandatory. Timely submission of the notice of revocation before the end of the revocation period is sufficient for observing the revocation time limit. If you revoke this contract, we will refund all payments that we have received from you, including delivery costs (with the exception of any additional costs incurred by your optional choice of another mode of delivery other than the least expensive standard delivery offered by us) without undue delay, and at the latest fourteen days from the date on which your notice of revocation of this agreement has been received by us. We will issue the refund using the same method of payment that you selected for the original transaction, unless expressly agreed with you otherwise; under no circumstances will you be charged a fee for this refund. We may withhold the refund until the goods have been returned to us or until you have provided evidence that you have shipped the goods, whichever is earlier. If the goods were delivered by a freight carrier, we will collect the goods. without undue delay and in any event not later than fourteen days from the date on which you informed us about the revocation of this contract. This deadline is deemed to have been met if you send back the goods before the expiry of the fourteen-day period. We shall bear the costs for returning the goods. You shall only be liable for any diminished value of the products if this loss of value results from your handling of the goods in a manner not necessary for testing the condition, characteristics, and functioning of the goods. (2) The exercise of this additional voluntary right of return does not affect the statutory revocation right, which remains in effect notwithstanding our return policy. (3) Exercise of the voluntary right of return is subject to the following terms: All goods can be returned within 30 days from receipt of those goods, provided that the goods are complete, unused and undamaged. If possible, the goods should be returned in their original packaging or equivalent packaging. For return shipments, our Customer Service will provide you with a free return waybill. For compliance with the 30-day return period, timely return dispatch will suffice. (4) If the goods have been returned in accordance with this voluntary return policy, we will refund the purchase price upon receipt of the goods. You will be refunded by the same payment method as you used for the initial purchase transaction. You will not be charged for any costs incurred. (5) Your statutory warranty rights will not be affected by this voluntary right of return and remain fully effective. (1) Weber shall be liable for material defects in accordance with the applicable statutory provisions. (2) In addition, Weber provides a voluntary manufacturer's warranty to its Customers. The statutory warranty shall remain unaffected by this voluntary warrantee. Information in regard to this right is available on the product pages under "Warranty Information". (3) The warranty period for traders for goods delivered by Weber shall be one year from the date of delivery of the goods. (1) Unless otherwise stipulated below, Weber will be liable in accordance with the general statutory provisions. Unless the Parties expressly agree otherwise elsewhere, the following provisions shall apply to all claims for damages irrespective of the legal grounds. (2) We do not exclude or limit in any way our liability to you where it would be unlawful to do so. This includes liability for death or personal injury caused by our negligence or the negligence of our employees, agents or subcontractors; for fraud or fraudulent misrepresentation; for breach of your legal rights in relation to the products including the right to receive products which are: as described and match information we provided to you and any sample or model seen or examined by you; of satisfactory quality; fit for any particular purpose made known to us; supplied with reasonable skill and care; and for defective products under the Consumer Protection Act 1987. (3) We are responsible to you for foreseeable loss and damage caused by us. If we fail to comply with these terms, we are responsible for loss and damage you suffer that is a foreseeable result of our breaking thus contract or our failing to use reasonable care and skill, but we are not responsible for any loss or damage that is not foreseeable. Loss or damage is foreseeable if either it is obvious that it will happen or if, at the time the contract was made, both we and you knew it might happen. (4) We are not liable for business losses. If you use the products for any commercial, business or re-sale purpose we will have no liability to you for any loss of profit, loss of business, business interruption, or loss of business opportunity. (1) As part of the fulfilment of contracts, Weber collects Customer's data. In doing so, Weber complies in particular with the provisions of the Data Protection Act 1998 and The Privacy and Electronic Communications (EC Directive) Regulations 2003 as amended. Weber will collect, process or use master data and usage data without the consent of the Customer only to the extent required for the processing of the contractual relationship. (2) Weber will not use the Customer's data for advertising, market research or opinion polls without the express consent of the Customer. (1) As of 09/01/2016, disputes between consumers and merchants in connection with online contracts of sale or online service agreements are to be resolved via an online dispute resolution platform (ODR platform). This platform has been set up by the European Union and can be accessed at https://ec.europa.eu/consumers/odr/. The use of the online platform is neither necessary nor obligatory. Hence, consumers are free to assert claims without prior use of the ODR platform. (2) Complaints process via online dispute resolution for consumers (ODR): https://ec.europa.eu/consumers/odr/. (3) We are neither willing nor obliged to take part in dispute resolution proceedings before a consumer dispute resolution board. (1) Contracts concluded between Weber and the purchaser shall be governed exclusively by the laws of England and Wales. English shall be the exclusive language of the contract and negotiation. (1) This agreement governs the legal relationships in regard to participation in the Weber Grill Courses between Weber, i.e. the organiser, and the individual participant (hereinafter: the "Participant"). (2) Weber offers different types of grill courses. For a detailed description of the respective course, please see the relevant course information on the website. (3) You can view these terms and conditions of participation at the URL https://www.weber.com/GB/en/meta/general-terms-and-conditions, simply by clicking on " General terms and conditions” in the footer. Participants can also download and print these terms and conditions using the relevant function of their browser. (1) The right of participation is limited to: (i) registered adult participants and (ii) registered minor participants accompanied by a parent or guardian also registered as a participant. Minors under the age of sixteen may not participate or attend. Weber may grant upon request an exemption for babies and infants for compelling reasons. (2) Weber allows you to book your course participation directly and with binding effect through the Weber website, which can be reached at the URL www.weber.com. The Weber Grill Courses described on the website are not binding offers of Weber, but are mere invitations to submit an offer. Participants who have found the item they want can place this item in the shopping basket without entering into any obligation by clicking on “shopping basket”. If a Participant wishes to register other participants for a Weber Grill Course, he must enter the names of the other participants. The Participant can view and edit the contents of the shopping basket at any time by clicking on the basket. If the Participant wants to proceed to a binding booking, he must click on “Go to Checkout”. To make a booking for a scheduled course, participants must create a user account. To do so, please enter your details. After entering the relevant details, Participants can proceed with the order process by clicking on “Create Weber ID”. Participants who have already created a user account can proceed by clicking on “Log In”. After the Participant has entered or confirmed the billing address and has selected the payment method, an overview of the order will be displayed. Here, Participants can check their selection and details once again. After accepting these terms and conditions of participation, Participants can complete the ordering process by clicking on “Buy Now” (Place binding order)]. The booking for a Weber Grill Course is a legally binding offer to conclude a contract for participation in the respective Weber Grill Course. (3) Transactions will be processed in general on a first-come, first-served basis. (4) Bookings will be accepted only if there is still a sufficient number of places available for the Weber Grill Course in question. Weber will send Participants a registration confirmation to that effect as well as an invoice; however, we expressly point out that the Weber Grill Course will only run if a minimum number of applications for participation are received (see section 5 - Requirements for holding the event). The registration confirmation is at the same time our acceptance of your booking; hence, a legally binding contract for participation in the respective Weber Grill Course is concluded upon receipt of the statement. (1)The course fees may vary depending on the type of Weber Grill Course concerned. For the course fee, please see the relevant course information on the website. All prices include VAT. (2) The course fee does not include any other expenses on the part of Participants (e.g. costs for transportation, accommodation and meals at a hotel). (3) The course fee may be paid by various methods: direct debit, credit card or other payment methods indicated in the order. Weber reserves the right to exclude certain payment methods on a case-by-case basis. For more information about the various payment terms, please see "Payment Methods” on our website, at https://www.weber.com/GB/en/meta/payment-methods/nav42.html. (4) Participation in a Weber Grill Course is possible only after prior payment of the course fee. (5) Any cancellations must be received in writing at the latest 14 days before the event. (6) Transfers between different Weber Grill Courses are not permitted. If a Weber Grill Course is cancelled, the costs for the Weber Grill Course will be refunded, and Participants must book a new Grill Course through the Weber booking system. (1) As a matter of principle, Weber Grill Courses take place only when at least 12 people have registered for the event. If fewer than 12 people have registered, Weber will decide if the event is to take place nevertheless. A different minimum number of participants may be indicated in the course description for a specific Weber Grill Course. If the minimum number of participants indicated in the course description differs from the above number, the number stated in the specific course description will prevail. (2) If a Weber Grill Course is cancelled, Weber will refund any course fees already paid. (3) If an ongoing Weber Grill Course ends prematurely for reasons within Weber's sphere of responsibility, a pro rata refund will be given. (4) Weber and/or the owner of the premises where the course takes place reserve the right of admission. Descriptions and visuals for the Weber Grill Courses offered on the websites, in brochures, catalogues or other advertising materials do not constitute a pledge by Weber to Participants and do not form part of the contract. (5) Participants are obligated to notify the Partner conducting the Weber Grill Academy at the latest five days before the start of the Weber Grill Course about any existing allergies, health impairments, illnesses etc. that will or may adversely affect the Participant and/or other participants of the Weber Grill Course. Furthermore, the participant undertakes to notify the Grill Academy partner of additional participants whom he/she has registered for the Weber barbecue course. Upon indicating the allergies, the concerned party declares itself in agreement with the processing of said data by the Grill Academy partner, used for conducting the Weber barbecue course. No further processing or transfer of data occurs. (1) Any material changes regarding the conduct of the event and changes in location remain reserved; however, changes will be made only if necessary and if they do not substantially and adversely affect the overall design of the course and the expectations of the Participants of the Weber Grill Course. (2) In the event of a material change to a Weber Grill Course, Participants are entitled to withdraw from the contract, provided they have not yet participated in full in the Weber Grill Course. Any course fees already paid will be refunded on a pro rata basis where appropriate. (2) Weber does not exclude or limit in any way our liability to the Participants where it would be unlawful to do so. This includes liability for death or personal injury caused by Weber’s negligence or the negligence of Weber’s employees, agents or subcontractors; for fraud or fraudulent misrepresentation; for breach of the Participants legal rights in relation to the products including the right to receive products which are: as described and match information Weber provided to the Participant and any sample or model seen or examined by the Participant; of satisfactory quality; fit for any particular purpose made known to Weber; supplied with reasonable skill and care; and for defective products under the Consumer Protection Act 1987. (3) Weber is responsible to the Participants for foreseeable loss and damage caused by Weber. If Weber fails to comply with these terms, Weber is responsible for the loss and damage the Participant suffers that is a foreseeable result of Weber breaking the contract or Weber failing to use reasonable care and skill, but Weber is not responsible for any loss or damage that is not foreseeable. Loss or damage is foreseeable if either it is obvious that it will happen or if, at the time the contract was made, both Weber and the Participant knew it might happen. (4) Weber is not liable for business losses. If the Participant uses the products for any commercial, business or re-sale purpose Weber will have no liability to the Participants for any loss of profit, loss of business, business interruption, or loss of business opportunity. Participants do not have a revocation right, since the provisions on distance contracts pursuant to section 28 of The Consumer Contracts (Information, Cancellation and Additional Charges) Regulations 2013 apply. Participants may send a substitute in their place to attend the course. (1) In exceptional circumstances beyond Weber's sphere of responsibility, Weber reserves the right to postpone or cancel a Weber Grill Course. This is especially the case in the event of a lack of participants, short-term cancellation of chefs due to illness or other human resources essential for the conduct of the Weber Grill Course, or due to force majeure. (2) If the minimum number of participants is not achieved, the Weber Grill Course will be cancelled at least ten days before it is due to start. (3) If the Weber Grill Course is postponed or cancelled, Participants are entitled to withdraw from the contract. Course fees already paid will be refunded in full. (1) The descriptions of the Weber Grill Courses on the Weber website are accurate at the time they are uploaded. However, the content of the offered Weber Grill Course may be subject to minor changes. The contact details of the Partner conducting the grill course are provided in the description of the respective Weber Grill Course. (2) The times indicated for the duration of the respective Weber Grill Courses are mere indications of the scheduled time frame. Minor time variations in the duration of the respective Weber Grill Courses may therefore occur. Accordingly, the times indicated on the Weber website are non-binding and may vary. Participants are entitled to take photos during the Weber Grill Course and also to publish them for private purposes, provided that the people clearly visible in those photos expressly consented. It is strictly prohibited to make any film or sound recordings of any kind, unless Weber has granted an express exceptional authorisation on a case-by-case basis, which may, however, be refused by Weber at its discretion. (1) While processing the contractual relationship, Weber collects the personal data of the Participants. In doing so, Weber complies with the provisions of the Data Protection Act 1998. The personal data of Participants will be collected, processed or used without the consent of the Participants only to the extent that this is necessary for the performance of the contract. 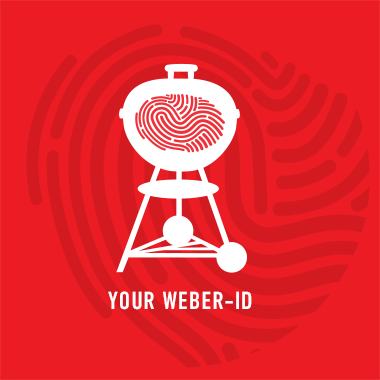 When conducting a Weber Grill Course, it is generally necessary for Weber to transmit individual personal data to the Weber-Stephen Products UK Ltd and other third parties, especially people used by Weber to perform their obligations. (2) Weber expressly states that the personal data of Participants will not be used for advertising, market research or opinion polls without the consent of the Participant. (3) Participants may enquire from Weber about their data saved by Weber. The contract text is stored on our internal systems. You can peruse the terms and conditions of participation at any time on this page: https://www.weber.com/GB/en/meta/general-terms-and-conditions/nav40.html. The order data and terms and conditions of participation will be sent to you by email. After completion of the order, your order data will no longer be accessible via the Internet for security reasons. (1) Unless stipulated otherwise by law, the place of performance and the place of payment shall be the registered office of Weber. (2) The place of jurisdiction for all disputes arising from this contract shall be London, England. The contract shall be governed by the laws of England and Wales. (3) If any of the provisions of the terms and conditions of participation are or become invalid, the validity of the remaining provisions remain unaffected. (2) Complaints proceedings via online dispute resolution for consumers (ODR): https://ec.europa.eu/consumers/odr/.